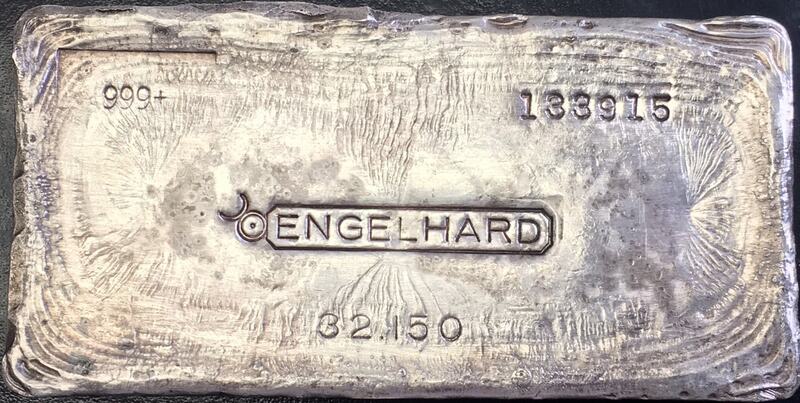 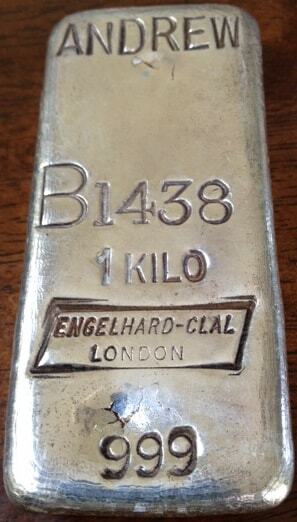 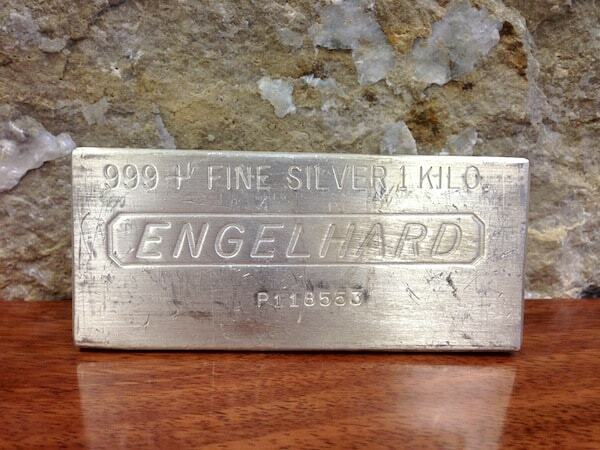 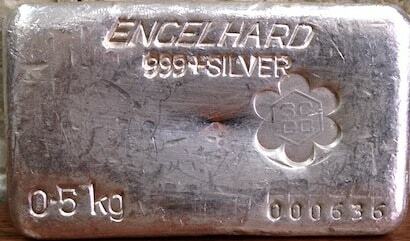 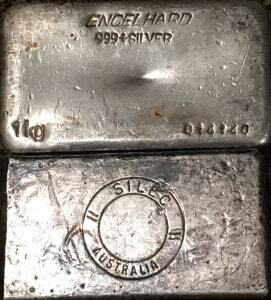 This page contains our current information on all known varieties of 1/2 kilo and kilo class Engelhard Legacy Ingots. 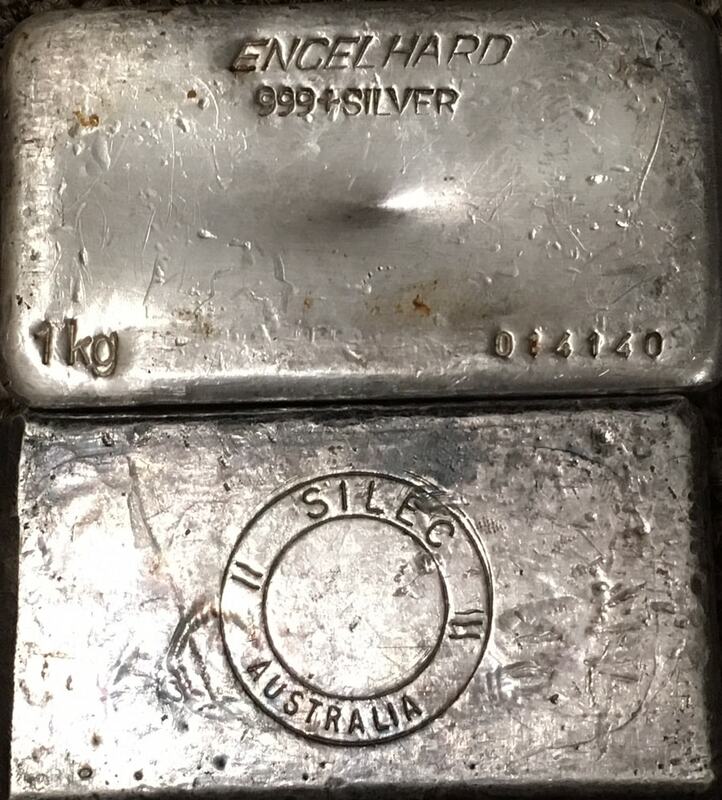 Yes, all varieties displayed below are considered ‘uncommon’ or ‘rare’ and regarded as highly desirable and collectible ingots. 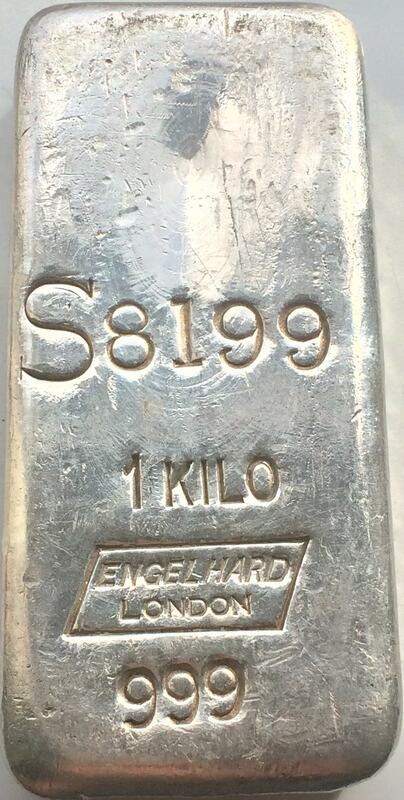 The ½ Kilo class includes 500g, 0.5kg, 16.075oz and ½ KILO weight class designations. 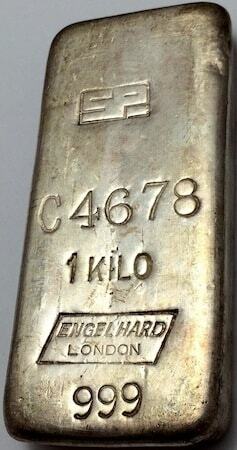 The Kilo class includes 32.150oz, 1kg and 1 KILO weight class designations. 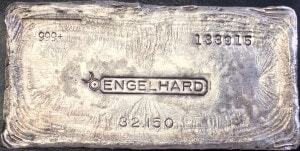 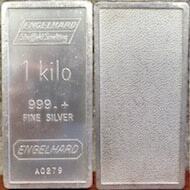 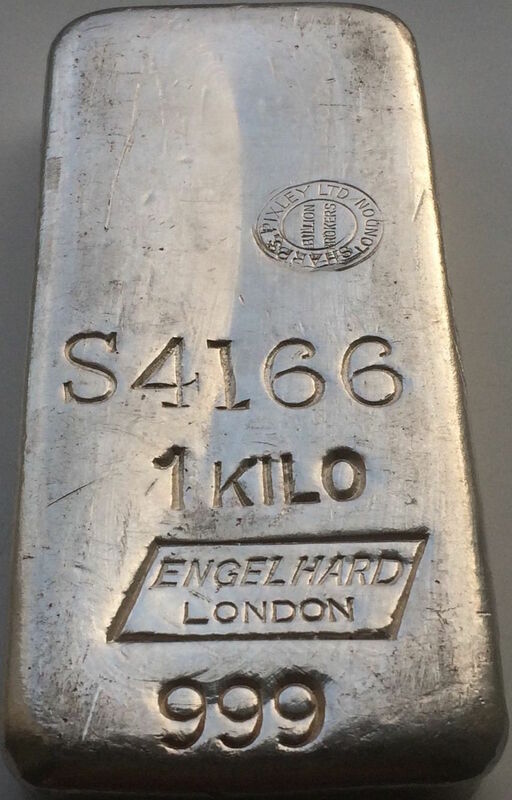 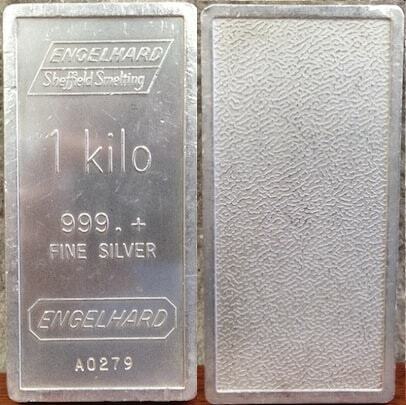 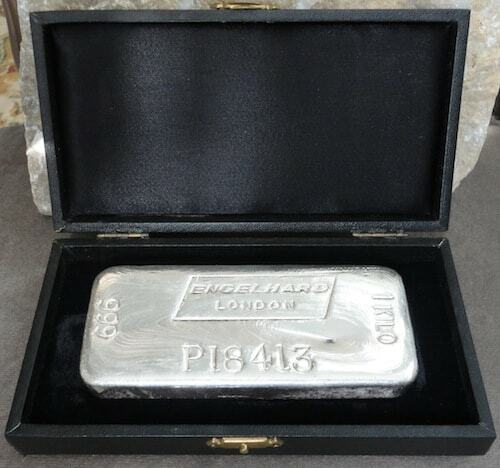 The Engelhard London hallmark ingots shown in ½ KILO and KILO weight class are highly coveted Legacy ingots and of the earliest Engelhard variety. 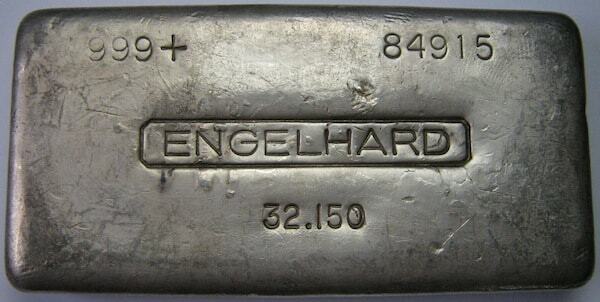 They are all in high demand and at the top of the collectibility and rarity list. 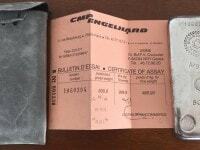 Additional information on these varieties can be found in our SUGGESTED READINGS section under the AG COMMUNITY heading. We hope you enjoy your visit! 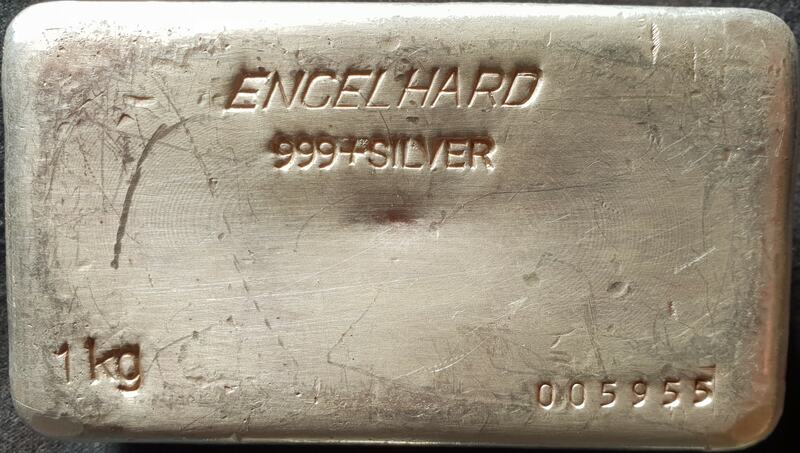 Mid Hallmark [Italic Australian Hallmark] [999+ SILVER] [0•5kg] [Serial Number] [SILEC Counterstamp] 2nd series 0.5kg ingot in Australian variation, produced at the Engelhard refinery in Thomastown, Australia. 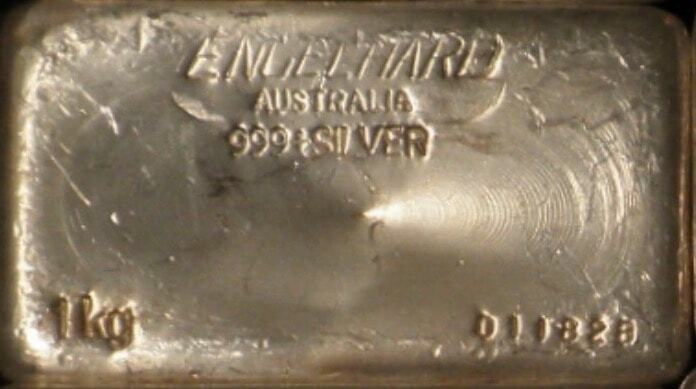 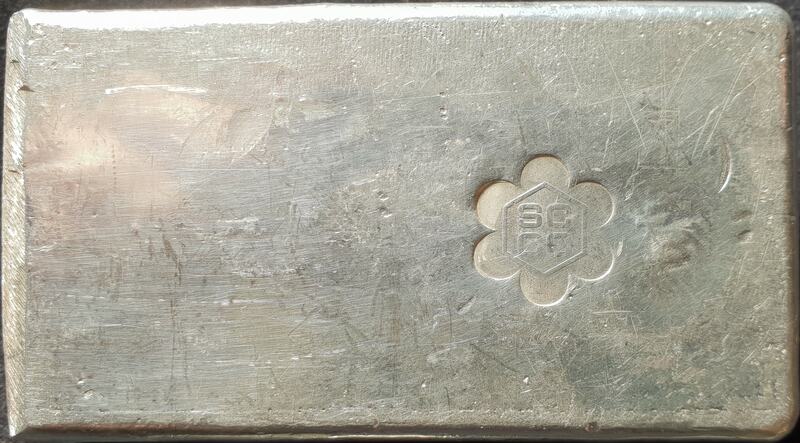 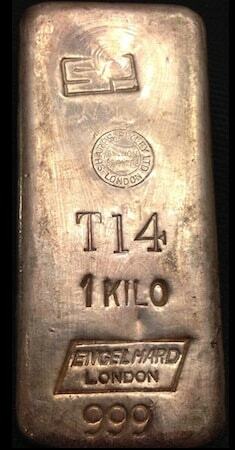 This ingot demonstrates the SILEC counterstamp on the reverse of the bar. 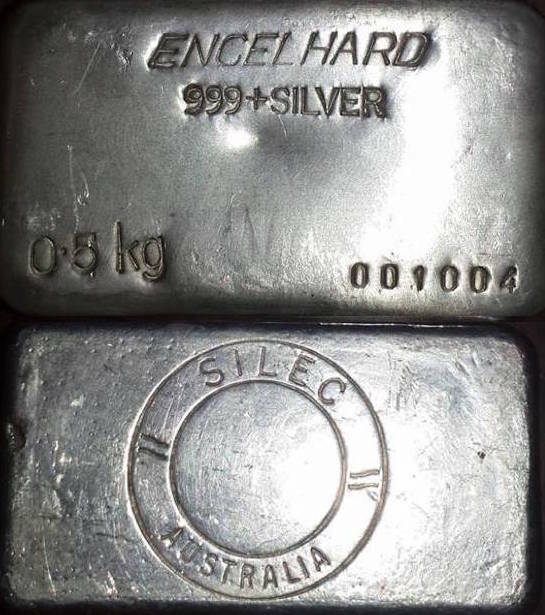 Additional information regarding the SILEC counterstamp may be found at this LINK. 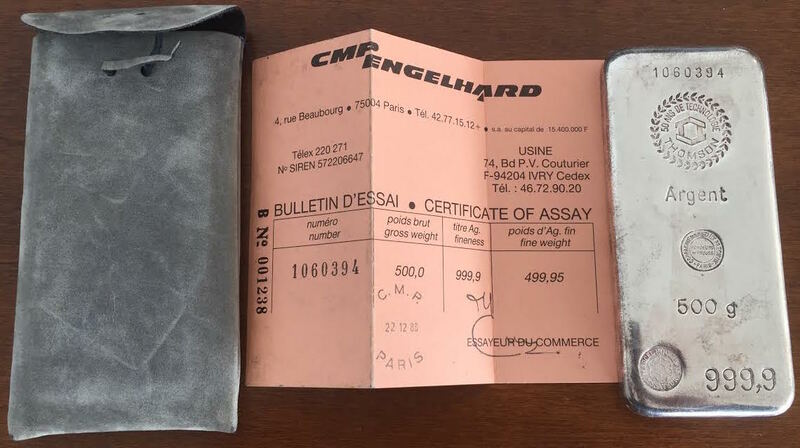 500g Unique Hallmark [Serial Number] [Unique Circular Hallmark ’50 ANS DE TECHNOLOGIE THOMSON’] [Argent] [Circular Stamp ‘COMPAGNIE METAUX PRECIEUX – PARIS’ with ‘FONDEURS AFFINEURS’ Inner Stamp] [500 g] [Circular Stamp ‘MARCEL HOOGEWYS ESSAYEUR’] [999,9] Cast Finish 500g example produced in 1988 by CMP Engelhard of Paris, France. 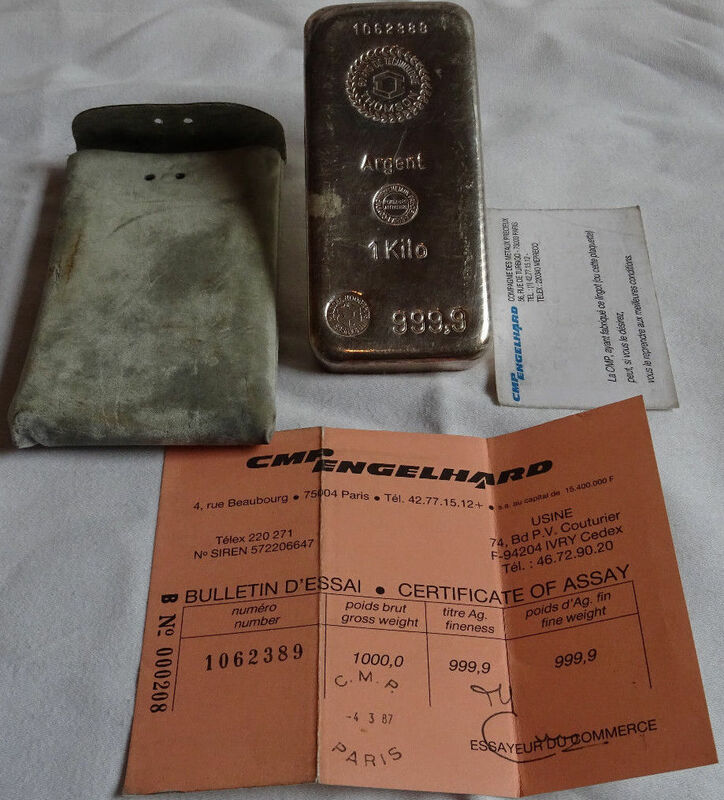 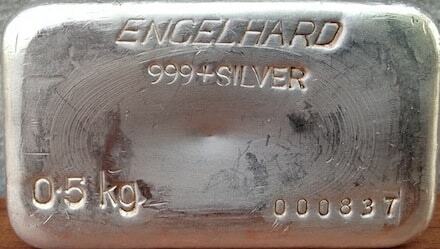 Although this example does not demonstrate an Engelhard hallmark, we are including it as it is a genuine Engelhard production piece as verified by the original assay certificate, depicted below. 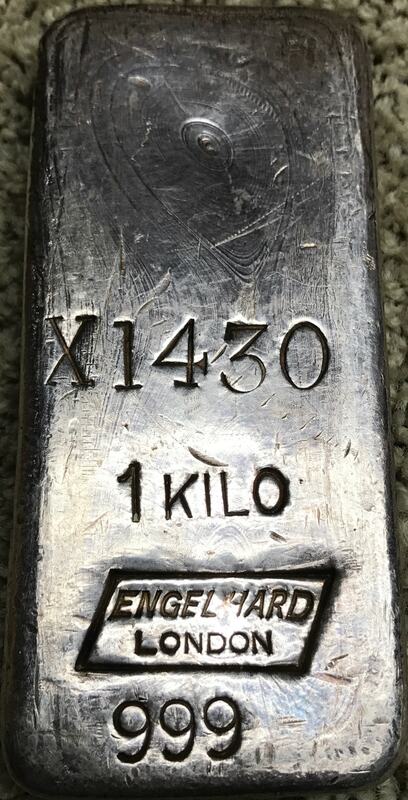 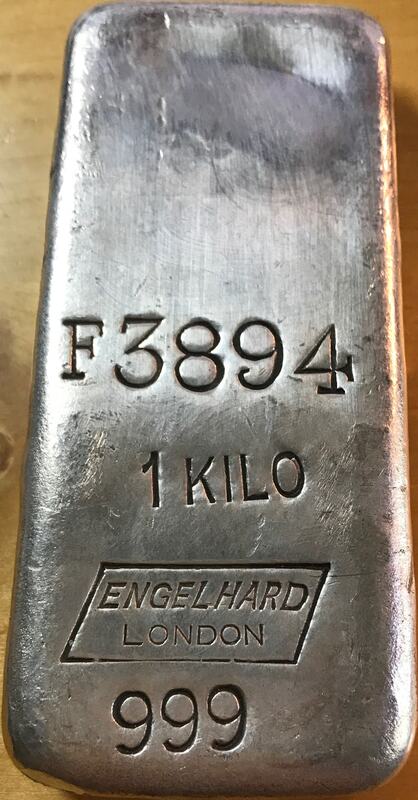 1kg Italic Font [Italic Australian Hallmark] [AUSTRALIA] [999+ SILVER] [1kg] [Serial Number] Cast Finish 1kg ingot in Australian variation, produced at the Engelhard refinery in Thomastown, Australia. 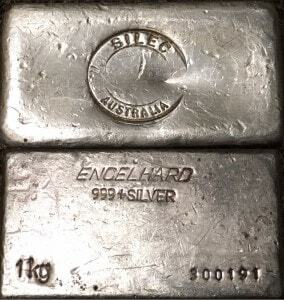 Unique in that ‘AUSTRALIA’ is stamped below the Engelhard hallmark. 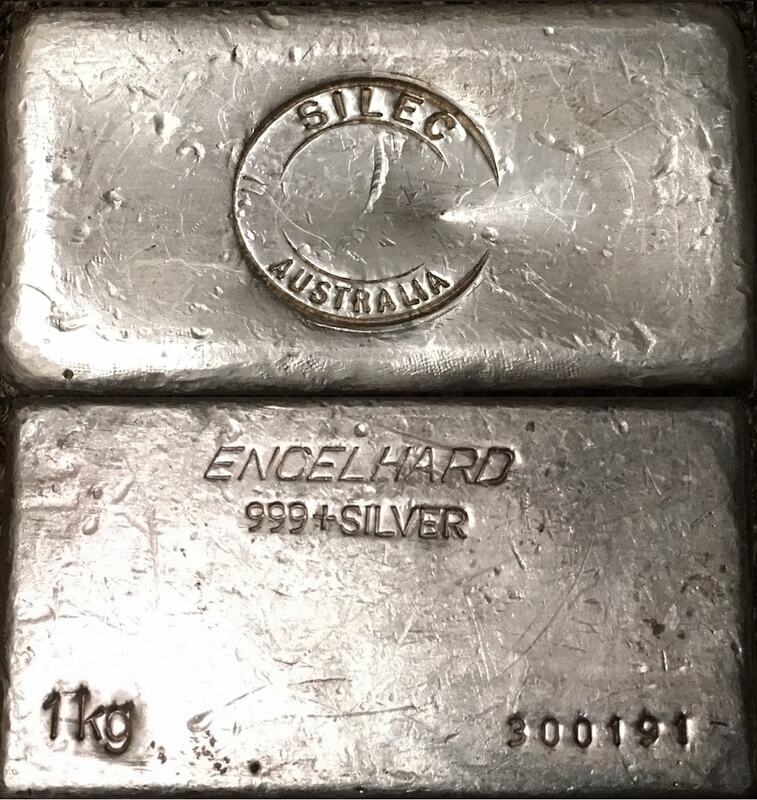 Thanks to danman49 for this discovery! 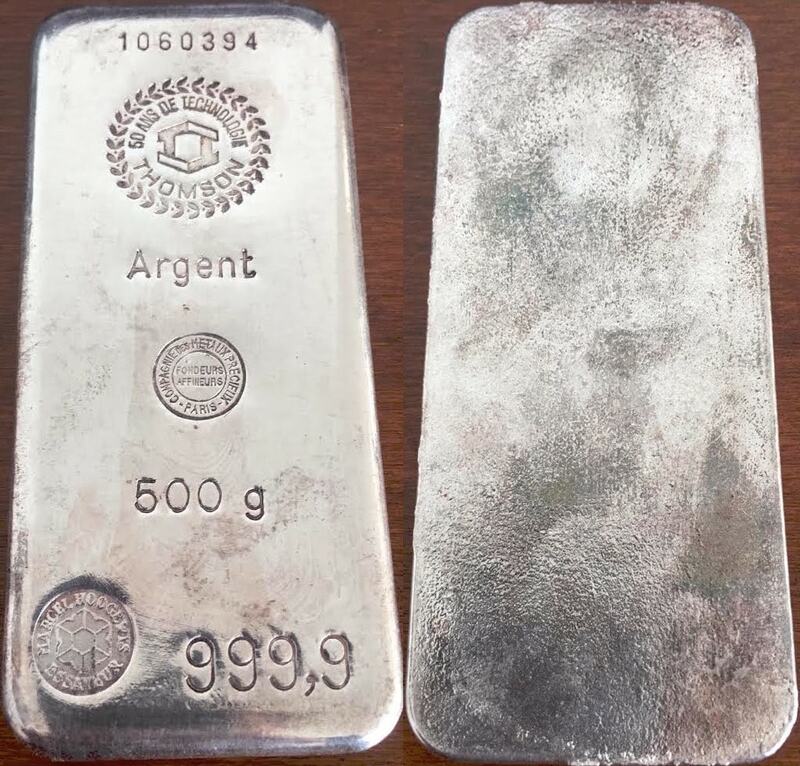 1 KILO Unique Hallmark [Serial Number] [Unique Circular Hallmark ’50 ANS DE TECHNOLOGIE THOMSON’] [Argent] [Circular Stamp ‘COMPAGNIE METAUX PRECIEUX – PARIS’ with ‘FONDEURS AFFINEURS’ Inner Stamp] [1 Kilo] [Circular Stamp ‘MARCEL HOOGEWYS ESSAYEUR’] [999,9] Cast Finish 1 KILO example produced in 1987 by CMP Engelhard of Paris, France. 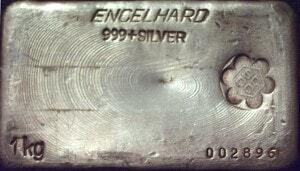 Although this example does not demonstrate an Engelhard hallmark, we are including it as it is a genuine Engelhard production piece as verified by the original assay certificate, depicted below.